Celebrate our Mexican heritage on Sunday May 5th, 2:00 – 4:00 PM at the Best Western Seacliff Inn and visit the Aptos History Museum across the street. There will be games, salsa dance lessons, fabulous hors d’ oeuvres, a silent auction with unique items including bottles of Marilyn Merlot and Norma Jean collector’s wines, a split the pot raffle, and music provided by the Soquel High Jazz Band. Tours of Aptos History Museum are also available. Tickets are $40 general and $35 for museum members. For tickets and information call (831) 688-1467. 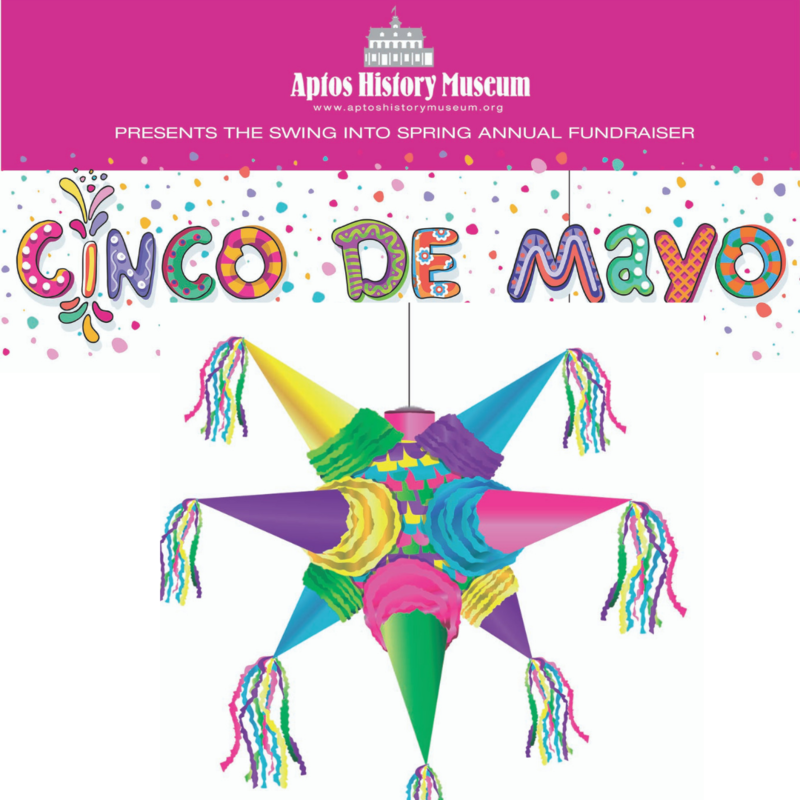 Join the fun and support the Aptos History Museum. Address: 7500 Old Dominion Ct.